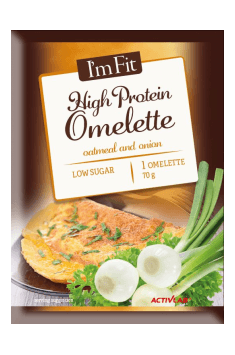 Oatmeal diet – hit or putty? Whenever I read in an article about another, new slimming diet, which owes its name to the product on which all the meals served are based, I wonder how many times I will try to get my readers to the same river. Is oatmeal diet is another exotic idea created for the needs of a colored press, as well as banana, yogurt, rice, strawberry or chocolate diets? Well, since, as the titles of articles posted on various online portals proclaim, the porridge diet conquers the world, it is necessary to take its assumptions under the microscope. What is the oat diet? Although there may be some discrepancies regarding the balancing of the daily menu, the basis of the diet is porridge, which should be eaten several times a day for one day to one week. The proposed dish of course consists of oatmeal and skimmed milk, and can be supplemented with oat bran. Less restrictive diets assume the possibility of adding small amounts of fruit, such as berries, apples, oranges, mandarins. Other meals are prohibited. After a week you can slowly introduce other selected foods to the diet. Online publications praising the advantages of the oatmeal diet indicate the innumerable benefits resulting from the consumption of oat flakes and bran. In fact, oat is a source of valuable fiber (which has a beneficial effect on the development of probiotic microflora, and enhances the feeling of satiety and reduces postprandial glycemia), B vitamins (primarily thiamine) and minerals such as magnesium, manganese, copper and zinc. The addition of milk complements the amino acid profile of oat protein, and also provides the missing vitamin B12 and calcium.